Tell us how this body of work came to the surface. When did it begin and what were your inspirations? Höllental und Himmelreich, which translates as ‘Valley of Death and Kingdom of Heaven’, is about tradition, folklore and religious beliefs in the Black Forest, a region in south west Germany. I grew up there, but then moved away for a decade to study photography in London and Bremen. I began the project under the working title Paradise Lost during my studies at the University of Westminster around 2012. 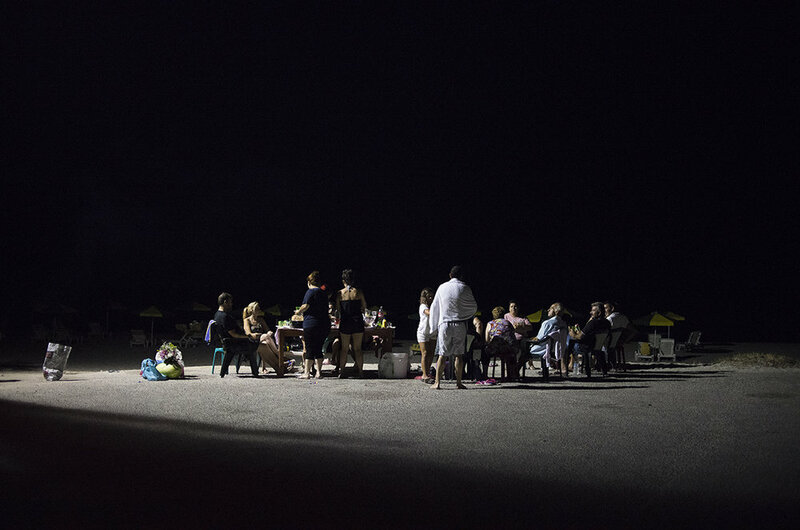 When I returned to my home country, I had the urge to document these once familiar surroundings based on a feeling of distance and displacement. I used a minimalist approach in which landscapes void of people, and captured in foggy conditions, created a sense of mystery. 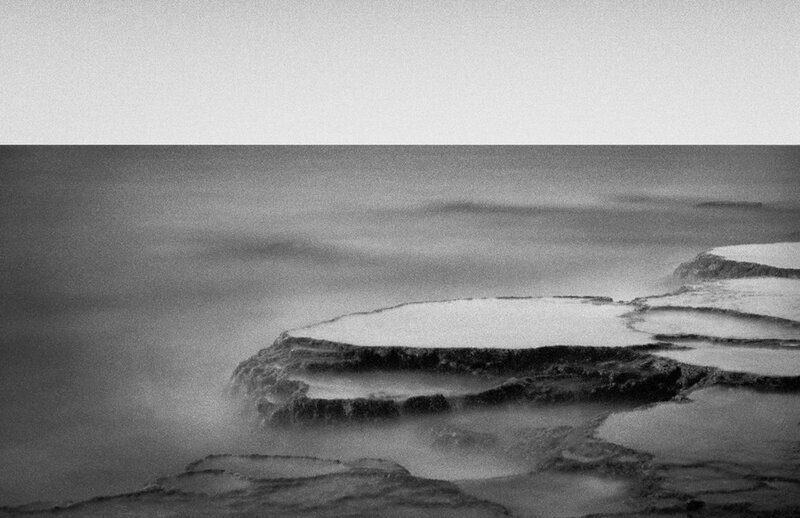 At that time I drew my main inspiration from Hiroshi Sugimoto and Nadav Kander. As part of later research, I was inspired by a number of photo books relating to the Black Forest, especially Interieurs by Thomas Ruff, Einmal im Jahr by Axel Hoedt and Cuckoo Clock and Cherry Cake by Anne-Sophie Stolz. However, I did not set out to create a body of work in the style of any specific photographer. Did Höllental und Himmelreich further your decision to study in Bremen? I remember seeing the exhibition Landmark: the Fields of Photography at London’s Somerset House in 2013. This impressive show provided an overview of 21st century landscape photography featuring more than 70 international artists. However, one specific piece of work resonated deeply with me: Heimat_31, Schwarzwald by Peter Bialobrzeski (2004). 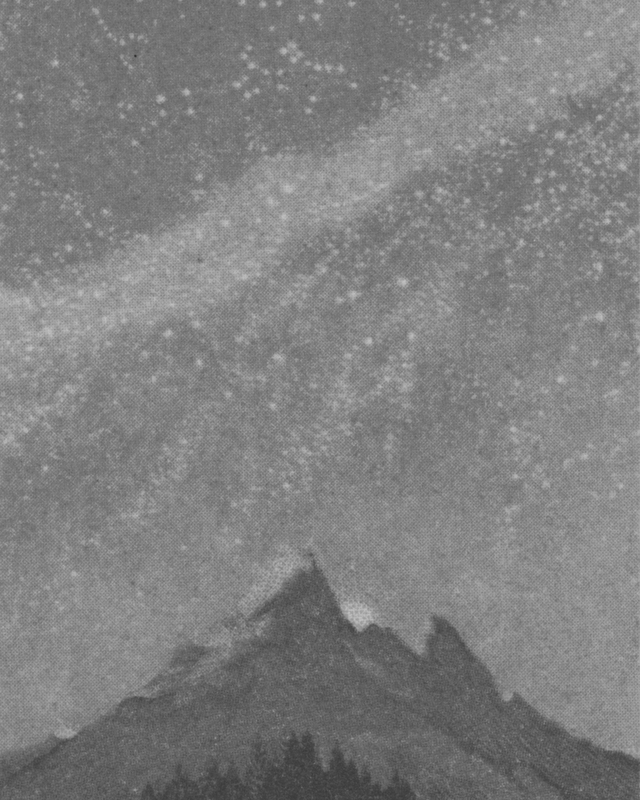 It showed a vast snow-covered scenery in the Black Forest with tiny human figures populating the foreground. I instantly felt a personal affiliation with it, bringing back memories of winter trips in my childhood. This imagery made me strive further to make a real project in the Black Forest, my native soil. I distanced myself from empty landscapes and became interested in the relationship between people and place, a new venture for me. Then I found out that Peter Bialobrzeski, a professor of photography, ran the Master’s studio ‘Culture and Identity’ together with the graphic design professor, Andrea Rauschenbusch. This studio combined both my interests: photography and design and so I decided to leave London to study at the University of the Arts in Bremen. Tell us about the Black Forest. Why is this location important to you? The project results from my personal experience of growing up and living in the Black Forest. When I came to live in London I began to see things I had not previously been aware of. The Black Forest is one of the most popular holiday destinations in Germany. Tourist clichés and ‘Heimat’ films carry associations of an idyllic life in unspoilt landscapes and nature. I have always been annoyed about this idea of an ‘all-encompassing idyll’ and never connected to it. So my series is a bit of a challenge to everyone expecting these kinds of stereotypes. Even though high-tech companies are located in the area, village life is steeped in tradition across the generations. Seasonal festivals and religious processions are celebrated and centuries-old customs show no signs of being forgotten. These customs have also become commercialised and established for tourism and I find it interesting to pose questions concerning their significance within our more plural society. What have you learnt from making this work? To be honest, the journey has not always been comfortable. I have had quite a few arguments about both content and aesthetics of my work. Over the years my image making process has developed. I now follow specific methods and I am really happy that I found a visual vocabulary to express my views. I have started to trust my instincts, no matter what others say. It is impossible to please everyone anyway! Producing this work has also taught me to be patient, as it has already taken a few years of going back and forth. When it comes to editing, this process is quite challenging. I have to be ruthless to edit my images and it takes time for the narrative to start fitting together. Seeing the work progress and strengthen is very rewarding. Tell us about your written thesis which accompanies this body of work. What was your main focus and why? In my thesis I critically analyse the German term ‘Heimat’. It is a complicated construct, which can translate into English as 'home', 'homeland' or 'native region'. The notion of ‘Heimat’ combines the ideas of a place of origin, a sense of belonging and identity. However, the concept carries both positive as well as negative connotations. I took one semester off in Bremen to attend classes at the University of Freiburg given by the cultural anthropologist Werner Mezger, a specialist in south-western German regional culture. The university library offered extensive research material on the term, which is centuries old. My goal was to reach a historical understanding and examine its varied cultural manifestations. Nevertheless, after a year of researching the idea of ‘Heimat’, the negative aspects of the term still troubled me. In my thesis I refer to academic sources by writers, scholars and politicians and juxtapose their definitions, contrasting one quotation with another. The introductory quotation is by author Martin Walser (1968). It reads: “Heimat, das ist sicher der schönste Name für Zurückgebliebenheit.”, which translates as: “Heimat is certainly the most beautiful name for having stayed behind.” But I enquire whether the term is still relevant in an increasingly globalised world. The plural form ‘Heimaten’ is rarely used. Given the increase in mobility and migration, I query if the term still refers to one specific location. 'Heimat' sounds really interesting and you've mentioned it can't fully be translated into English. Can you describe to us what connotations this word has and how it relates to your work? 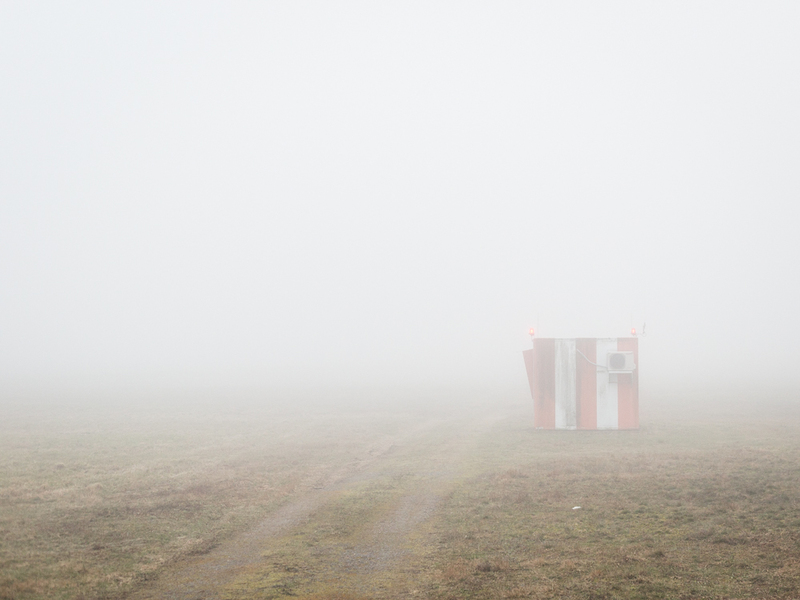 ‘Heimat’ has spatial, political, social, cultural and emotional connotations. Etymologically, the term is based on the Germanic term ‘haima’, meaning village or home. However, over time it has acquired multiple and problematic associations. In the 18th century, ‘Heimat’ was conceptualised as a space of identity and origin. Throughout the Romantic period ‘Heimat’ echoed a sentimental longing for homeland. The ‘blood-and-soil’ propaganda by the Nazis brought ‘Heimat’ into dispute. Most recently, the term has experienced a renaissance in the political field: the Home Office has been renamed the ‘Heimatministerium’. In my work I have always questioned how to approach regional customs. Structures, which help to create community, like tradition and local practices seem to contribute to the stabilisation of a sense of home. Factors like language and religion form collective ties. These are symbols of togetherness but also delineation. On the one hand, repetitive customs serve to preserve tradition and culture, but on the other hand they are from a past era. ‘Heimat’ is supposed to be familiar to us. Because of my experiences abroad, my perspective on the Black Forest region has become one of alienation from these once familiar surroundings. Now ‘Heimat’ becomes something artificial, like a stage set in a theatre. What are your plans for the near future? Short term, in April I will join my former fellow students and professors from the University of the Arts in Bremen on a field trip to Sarajevo. As every year, each of us will work on a different concept on the city and we will then publish an artist book from all our work. I cannot see myself finishing Höllental und Himmelreich in the near future. There are still more locations and events to go to. However, I have got a lot of material already so it is my goal to make a second edition of the book. The first edition as part of my graduate work was quite expensive to produce so I would like to make a different version, which can be made available to a wider audience. I exhibited a selection of images during our degree show. Given the opportunity, I would like to show the series in its entirety, so I am hoping to have a solo exhibition. I have currently started developing a new long-term body of work in the region of Freiburg. Other than that, I am looking into grants and artist residencies. I would love to have the opportunity to make more work abroad. I am splitting my time between personal projects and commissioned work and am currently working towards getting more editorial stories as a freelance photographer. Follow this link to see our original Feature with Christina. Tell us about your series FUR. What is it about? The images in this set are from the photo series I did in my first semester at Paris College of Art. Our brief was to create content for the brand LONGCHAMP using some of their products. 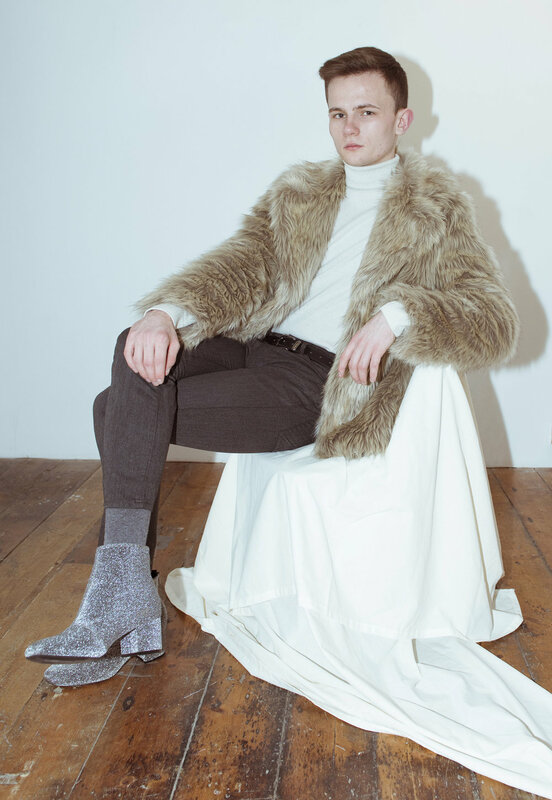 When we were at the flagship store of the brand the Violet Color FUR coat and its design stood out to me and having shot some images on FUR on film before I thought it could be interesting selecting that as my product for the brief. I wanted to shoot this assignment with Ann the model who I knew would carry it off well with her lively and outgoing personality. Patricia from Makeupforever Academy did the makeup and this made some of the images stand out really well... Eventually I made a short film and made some photographs shooting outdoors using natural light in some Parisian locations. Who or what inspired this work? I was quite keen on creating content for a Fashion brand as I had not done something along those lines before. Sometimes the person you shoot with makes a whole lot of difference and shooting with Ann April was incredible. I got introduced to her by my professor during a workshops at Paris College of Art. I knew instantly that I had to shoot a story with her at some point. It was also the first time I made and edited a short film. The way it was shot and the way it turned out had a lot to with the models personality; I just let it flow. Also, shooting at iconic Parisian locations was an inspiration. Is this work finished or have you got any further ideas for it? This work is finished. I learnt a few things about video editing in the process and I now need to apply those better when I work with a brand again in the future. For your series Fancy a Whim!? you worked in Bombay with a clothing brand. Tell us more. This was a collaboration with the clothing brand and it was exciting to be working on a fashion editorial in Bombay. It was quite challenging as the creative direction; choosing who and how and where to shoot and also selecting the clothes was all done by myself. So part of the styling and creative direction was both handled by myself. Normally I just take the photographs but I loved the fact that with this work, I could be in full creative control of the everything. It was shot at Madh Island close to the Madh Fort with a backdrop of dried fish. The place added a lot of texture and I shot everything right before sunset. My aim was also to catch the warm evening light. I've developed an interest for outdoor fashion stories in the last year or so; it allows me to let the models be themselves and also allows more room for the stylist to give directions and gives so much more flow to the story. I wanted to work with Aarshi Banerjee the actress and model who was recently seen in the film MAYA by Mia Hansen Love. I'm glad it all worked out in the end and I left Bombay the day after and got all my film scanned at my lab in Paris. From the series Fancy a Whim!? How did this opportunity arise? 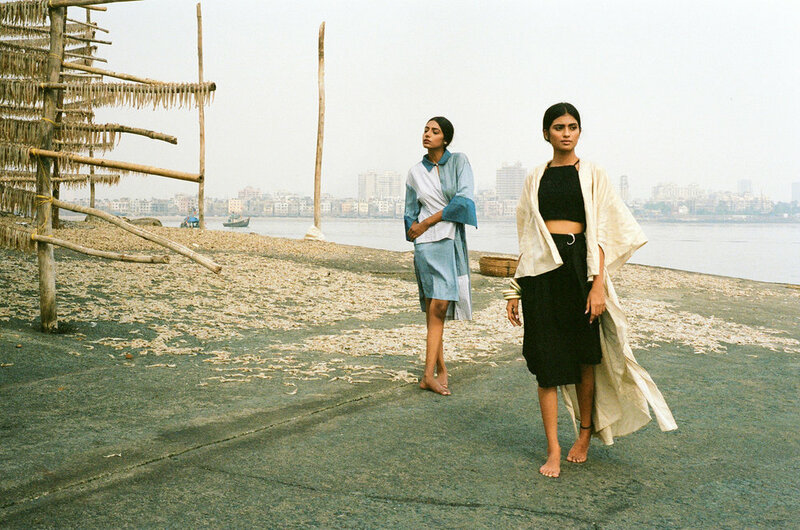 I had a week left in Bombay and some extra film on me and I thought to myself “I have to shoot one story where I manage everything.” For previous work I made in Bombay I had a stylist/moodboard/team alongside me and I mostly only had to photograph. With this one, I wanted to try and see if I was capable enough to do everything on my own. So I worked to make it happen! I contacted the brand myself and sourced the clothes, I selected the people I wanted to shoot with. Purvi at WhimBypoorvi was supportive enough and appreciated what I brought to the table. I had the clothes at my disposal and both the models I shot with were very warm and friendly. I want to make a lot of work for clothing brands going ahead and with the rich texture of the Indian textile and handloom I now have work to show when I approach other clothing brands in India and even further afield. You used a make-up artist, stylist, and models for this location shoot. How did you project manage this? To be honest I've had days when I feel it’s all worthless, I am neither making too much money nor is this work going to be seen or have any significance but once the pictures are washed, developed and scanned it fills me up with new creative energy. I love seeing the end product which is always so satisfying. I have to thank all the makeup artists, models and stylists I had the opportunity to work with the last few months. They brought in a new energy and believed in what I wanted to make visually. It was also refreshing to work in my own country. I realised my work has so much more significance working in my own country as an artist. There is plenty to explore there but I wish to work for bigger brands and with better budgets moving forward. Have you got any tips for gaining experience with shooting with models or on location, or even working with brands? Shoot shoot shoot! Write ideas down. Hustle hustle hustle! When you start out you have to make things happen on your own and then things will fall into place if you bring that sort of passion and energy into your work. One thing will lead to another. I work a lot with instinct so the only thing I would say is follow your instinct. It’s a very hard profession to be in as you need to be extremely self motivated and have a lot of persistence and patience. I am actually incredibly impatient and want things to fall in place very fast but I'm learning to slow down and not rush into things too much as well. Follow this link to see our original Feature with Sahil. Here we have an interview with Natalia Poniatowska. How would you describe your project and the relationship to the title Moments I Never Showed You? For many years of being a natural picture maker and taking photographs of whatever caught my attention, I’ve noticed that people became a part of the landscape I create. Observing, sitting, relaxing. The images place the figure in surroundings that complement simultaneously two conditions – being and looking. This project focuses on my observations but also raises wider questions about photography as a medium and the act of observation itself. It is an attempt to look at my practice and question my selection of images in which unexpected connections and conversations can occur between images. 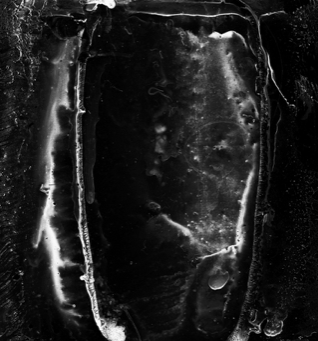 The body of work includes an animated scan of 35mm black and white negative. As some images remind me of either smell, sound or movement, I wanted to bring this photograph back to life by moving selected still elements. This project has been shot in several countries, mostly outdoors and shows places I don’t belong to and people I have never got to meet, and as such, it is a departure from previous work that had nostalgia, homesickness and concept of belonging at its heart. 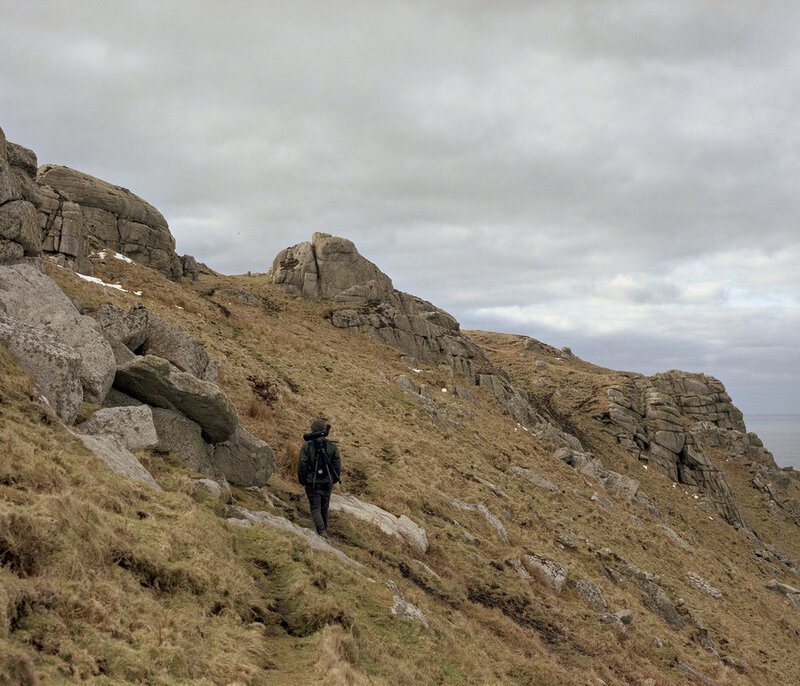 This project accepts personal and visual encounters that speak of a connection that is grounded in photographic composition and as such are a pause in the flow of time: fleeting. These images propose questions and allow me to evoke the conditions that occurred during the moment of taking the picture again. Selecting a title for a project and the book was a real challenge as the project hasn’t started with the idea or research but with a selection of already taken photographs. The research came after. With a title, I could easily add any narrative, but I decided to call it directly of what it really is – Moments I Never Showed You, as it’s a selection of photographs never shown before that didn’t belong to any project or didn’t work as strong as a single image. 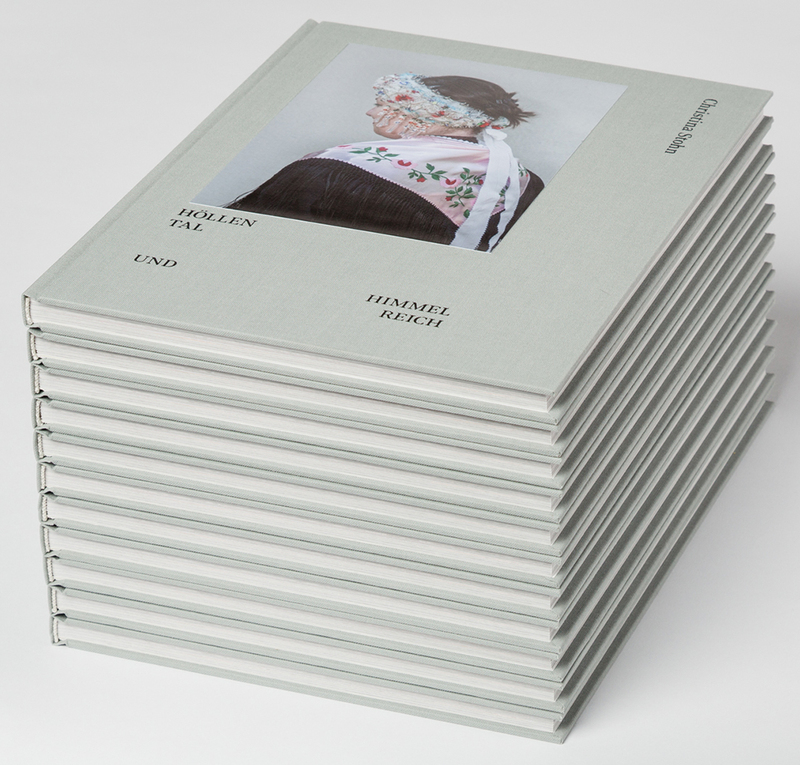 I like that the title made the book/project more personal and direct to the viewer. My tutors were not really happy with it, but for me, it works because of its simplicity. I was happy when I could throw away an A4 page full of title ideas that were overthinking the subject and I used words of whom I had to google the meaning of. This title is more “me” than what I was trying to achieve with other titles for the project. While making the project I had a few moments of doubting in photography. I’ve seen many exhibitions where I didn’t feel anything, that didn’t provoke any thoughts or didn’t give me any aesthetic inspirations. That made me wonder – are my works giving some emotions to others? I meet Thomas Joshua Cooper, founder of the photography department at the Glasgow School of Art, when he was leaving his studio and told him about my feelings towards the subject. He replied with a smile: “You need to trust your work”. And for a while, I didn’t understand what trusting the art means, but now I know this feeling and I know it really helps. I also believe that all those chats, books I read, exhibitions I visited, movies I watched, music I listen to and everything I’ve seen was the inspiration for Moments I Never Showed You. How has the course at The Glasgow School of Art shaped your practice? It’s been a great 4 years that closed my long journey in photography education – I first started attending photography classes when I was 13 in the youth centre in my hometown – Bytom, Poland. Studying in Glasgow was a great fun and also hard work. I made friends for life and I fell in love with the city. Fine Art Photography course was very individual. If you wanted to take all the best out of it, you could but you could also just spend those 4 years taking photos at the parties and printing on any paper and putting up on the wall with pins. You could do everything without really questioning it but then when degree show comes you can easily fail with all the stress. I was thinking about every step I made and I know I used these 4 years in the best way, not worrying about the degree show. Having access to such a great facility and my own studio is definitely something I miss since June. I also miss tutorials and crits, ability to talk about the project and also to speak about other’s work. This summer for the first time ever I sent my films to the lab and when I got them, I knew it’s the process I miss the most. If the process of developing and scanning myself is taken away, I could just stick to the digital. I like to have the control and the feeling that I made it since the moment when I put the film in the camera until I printed it. Who is your main photographic inspiration? I would like to reply saying life is the main inspiration – everything what’s happening around. Every single moment. But if it’s about names of artists, I would name a few that I’m currently spending lots of time looking at their works: Mark Power’s book The Sound of Two Songs, Wojtek Wieteska, Harry Culy, Tacita Dean and Theresa Moerman Ib. “It is enough that I come from a country that lies east of the west and west of the east” - Sławomir Mrożek. I am an observer. Through digital and analogue photography, still and moving images, I explore the potential ground that exists between fine art and documentary photography. Drawing inspiration from various conditions of the reality around me, from the great interest in the modern, dynamic art scene but also from my personal experiences, I believe in the power of images to convey the emotions, truths and challenges of modern reality. Having spent the majority of my life away from my motherland, I often return to the theme of homesickness and belonging in my artwork. My approach to picture making is to present ordinary, non-idealised, never staged reality. Such practice is the formulation of an interest in things as they are. By using only one lens which is the most similar to a human field of view, I am capturing the moments and non-moments that drag my attention. I am a sentimental and nostalgic artist and the camera is the best tool to anchor oneself to memories and emotions that are constantly fleeting. My work starts with a strong interest in the moment, light or a situation. The process of looking begins before taking a photograph and continues afterwards. 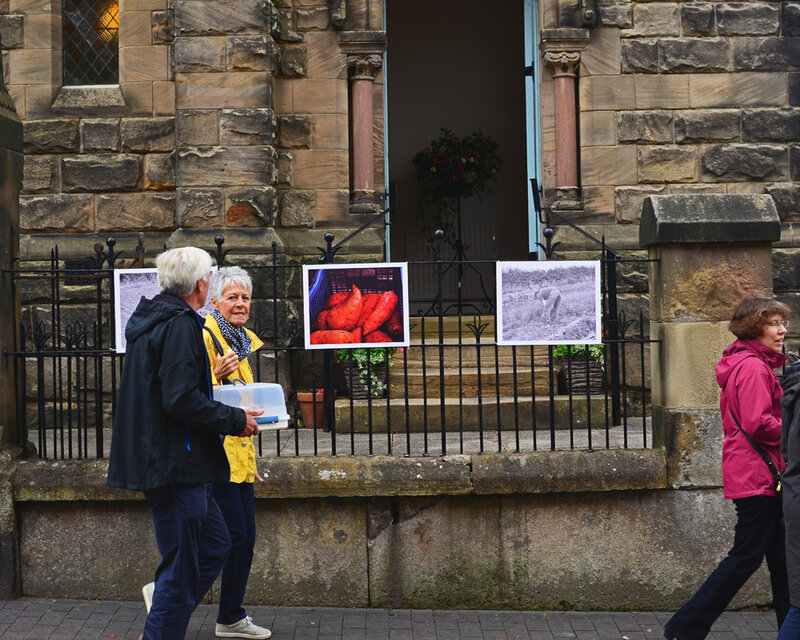 Selecting pictures, printing, making connections, framing or setting up an exhibition space, all of it seems connected to the way of seeing. I immerse myself in the medium fully and utterly. What camera and lens did you use? This is the most common question I get on Instagram and the most annoying one in commercial photography world. “Photos are amazing, you must have a great camera”. Sometimes I say what camera I used, sometimes I say it’s about my sight, not a camera. I’m completely not interested in the technical aspect of photography. I can’t help when friends asked me what camera they should buy as I simply have no idea what’s on the market or what lens would be the best for their needs. I use Nikon F3 and Nikon D800. The digital one for commercial, colour and moving image work, a film for black and white. I mix the film and digital photographs when it comes to exhibitions or books and I usually carry two cameras with me. There’s something in black and white digital photographs that I am not a big fan of and there’s something in a black and white film that I really love. I only use one lens - 50mm 1.8, as it’s the most similar to what we see with our eyes. And the reality is what I like in photography. Presenting reality but in such way that we don’t notice it every day. What are your future career plans? I’m currently exhibiting work in the Scottish Portrait Awards. In March, I’m showing my work at the New Contemporaries exhibition in the Royal Scottish Academy, for which I’m super excited. This summer after graduation was busy – I started working on two projects – I travelled with my grandma to Ukraine where she was born and has not been back since childhood when her family had to leave due to the war. I know I need more time and conversations with my grandma to finish this project. I would like to go back there during winter. 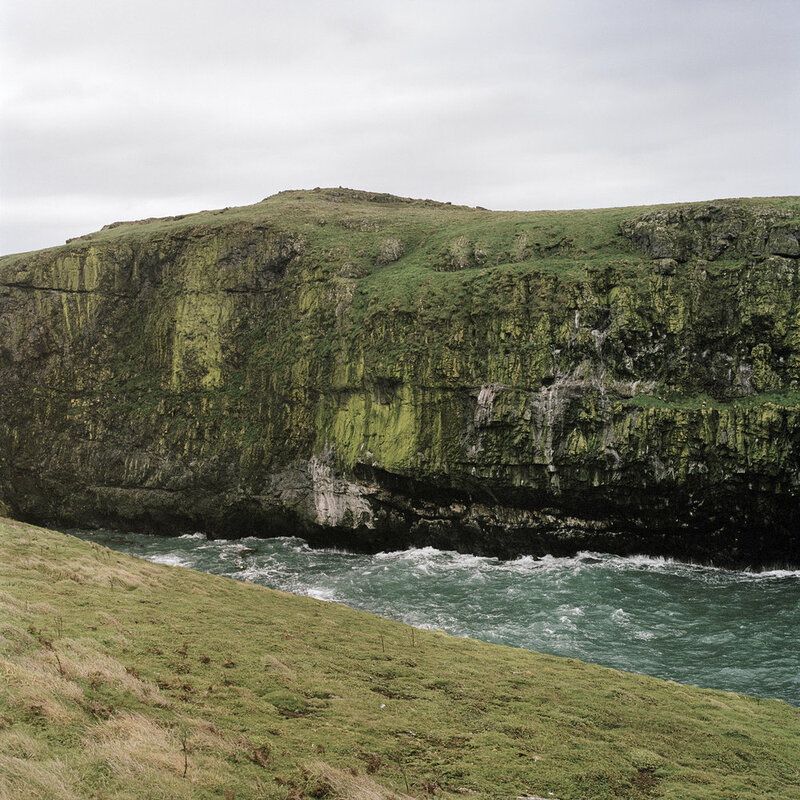 The second work was my residency to Iceland organised by WeTransfer and The Jaunt. I can’t wait to print this work and just put it up on the studio wall. I’m sharing some of it on my Instagram. I’m supporting myself by working as a wedding and commercial photographer, but ideally, I would love to work for a photography gallery. Well, of course, I would love to be just an artist and pay rent from selling my works, but we all know how it is. There’s a huge gap between emerging artists and established artists who can hire hundreds of assistants. I just wish these two worlds, especially in contemporary photography, could somehow connect and there would be more paid opportunities for graduates. I’m sick of hearing about unpaid interns or even internships that artists have to pay for. Or paid entries for open calls (for example Fotofilmic $50 entry fee). And as I know from the experience there are young artists whose parents would pay for it all. They have a way easier career start. I’m sorry for speaking about money so much when the question is about my plans, but I get a feeling that this subject is neglected, especially in the art schools. We are not told how to make living. And then there’s also this look – how can you be an artist when you shoot birthday parties and use a camera in a commercial way? I disagree and I presented my disagreement with a project called Celebration where all photographs come from events I worked at. So… coming back to my future plans – I know that photography is what I love and I’m super passionate about. If in the future I can survive as an artist, that’s amazing. 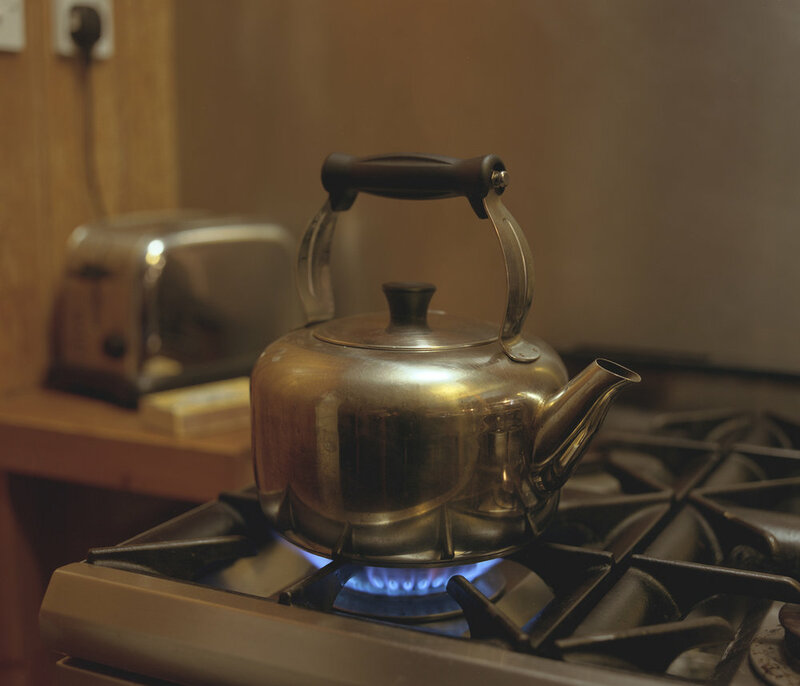 But I also would like to do something for contemporary photography – either working in a gallery or teaching. And commercial photography? I also enjoy it. Client satisfaction and some good words about my photographs make me really happy. And weddings are fun! Here we have an interview with Lottie Wilson. Why do you still use film? Is there a reason? I started using film in my first year at university. Initially it was something new and exciting (we hadn’t used film at my sixth form) so I enjoyed learning about a new process. However, now it is integral to my practice. As an artist I believe that the working process is just as important as the images, and the beauty of analogue is that there are so many different opportunities for the final image. When working with digital all of the editing happens post production, however, the analogue process is totally organic. The process can go wrong at any minute – you can over expose or under develop – and this is the magic for me. The final image has always felt like a collaboration between the darkroom and myself. I can never quite predict what is going to happen. 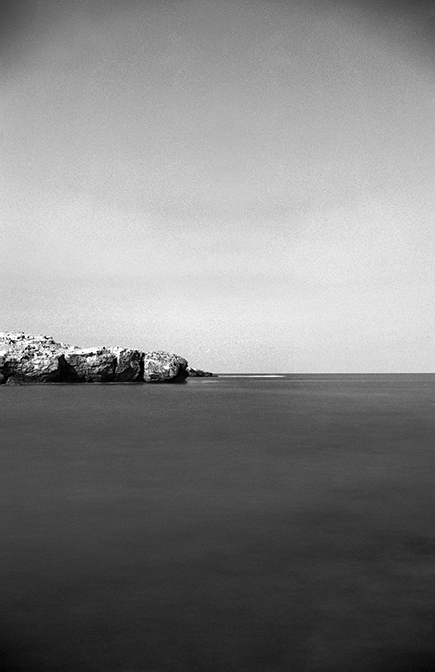 Your work shows a lot of experimenting in the darkroom, what was your best ‘Mistake’? My best mistake was made out of forgetfulness! With images that no longer have any meaning for me I like to disrupt them and alter the memory past recognition. There’s no science with the experimentation that I do – it’s simply a case of trial and error. One particular image was not reacting to my chemical solution so I decided to leave it for another few days. Fast forward ten days and the whole image had disappeared. Whilst this was never my intention it was a real learning process for me. I really began to understand my medium. By leaving the image for too long I broke down the layers of the negative until there was pretty much the bare film left. Whilst a photograph distils a single single moment forever, this photochemical process allowed me to change history. It was as if that captured moment had never happened. This is my favourite image to date. How was your university experience? I loved going to university and am missing it so much. My university journey wasn’t easy though. My school encouraged academic subjects, so originally I applied to study English Literature leaving Photography as a well loved hobby. Once being accepted into the another university I realised that this was not what I truly wanted. I decided to take a year out to fully consider my options and decide whether further education would be the right choice for me. After visiting the University of Brighton there was no other option, this was where I needed to be. Throughout my three years at University I met an eclectic mix of individuals who encouraged both creative and personal growth. I’ve never looked back. Going to university made me a better photographer in every respect, yet the most important lesson was finally understanding and accepting myself. What photographers help inspire your work? I am a huge fan of Miho Kajioka. Whilst very different in concept (Kajioka’s work discusses natural disasters), I particularly like Kajioka’s printing style. The images appear so delicate and whimsical. I am also greatly inspired by her working style. Kajioka draws off the Japanese tradition of “wabi-sabi” – the appreciation of beauty in imperfection and transience. This appreciation allows for mistakes and even encourages them. As an artist I constantly re-evaluate my work and my belief in “wabi-sabi” underpins my whole practice. I love that my work is always changing and may not always be as I first planned, it gives me confidence to make work without any concern. Your work will be on display at the Cass as part of Photograd Open 2018. The Cass has a great darkroom- what would you say to students or any photographers thinking about working with film or in the darkroom? I’d say just go for it! I spent so long being scared of the darkroom but it’s the most magical place - I still get excited watching an image develop in the wet trays. Whilst you will be taught traditional darkroom processes you do not have to stick to them. There is never just one fool-proof way to make work, and this notion definitely applies in the darkroom. Experiment with exposure times and chemical reactions and see what happens to the original image. The darkroom is full of endless creative opportunities and all you need is the confidence to try something new. Do you have any plans for your photography in the future? Any current ideas for this project or any new ones? Since graduating this summer I have spent a lot of time contemplating what it means to be a photographer. For me, it is the opportunity to capture a single moment and the power to change it. Much like memories, images are pliable and I am fascinated how their meanings are constantly adapting. I have just joined a community darkroom so am excited to start my next project. I am planning to further explore the transitional elements of a photograph - of course with my “wabi-sabi” beliefs fully in tact. I am excited to see what comes next. Here we have an interview with Joel Biddle. Which photographers inspire you? 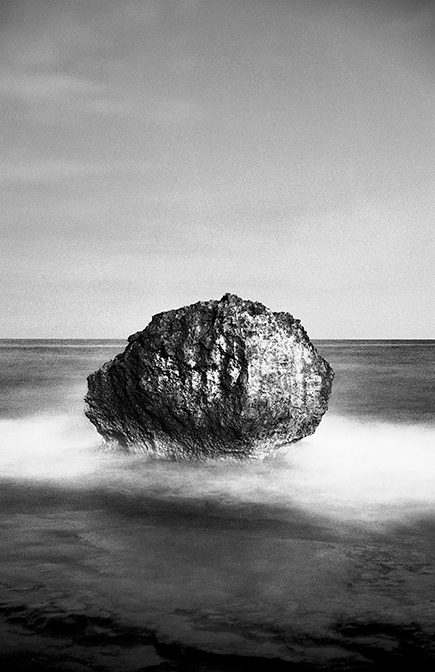 I find my inspirations come from a mixture of landscape photographers and conceptual artists. The simplicity that some conceptual art can have has always been a draw for me, and a lot of the time that kind of work is more about only showing what is absolutely necessary and simplifying the message. I think one of my earliest influencers was Michael Kenna, whose work was a huge inspiration for me to create and experiment in the darkroom. The minimalist aesthetic and his approach to a mixture of geometric, manmade shapes and the shapes of the natural world has always been impactful. Hiroshi Sugimoto’s work was introduced to me just prior to university and has since been influencing my approach to my work as well. I think these photographer’s work changed my mindset about photography and made me take more time with my work. What do you find interesting in landscape photography? The possibilities involved in landscape photography are the reason I’m drawn to it, and the challenge of finding somewhere that connects with you is very rewarding. It can be a timeless for of photography, and you can create a landscape that can be very hard to place location wise, leading to an image that is very open to interpretation. The juxtaposition between the smooth, changing shape and texture of water against ancient and seemingly permanent and harsh shapes of rock structures in the sea fascinates me and I try to highlight this. 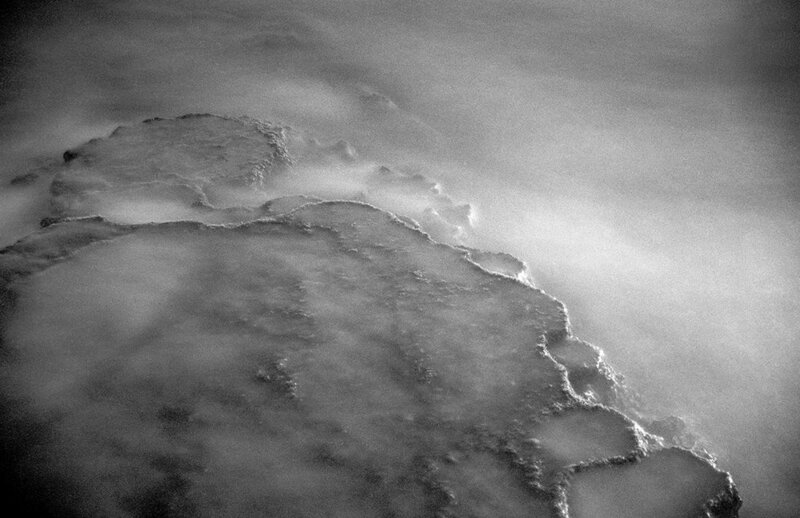 It’s almost an instinctual thing for me to photograph the landscape, and I sometimes don’t even see my work as landscape, as it can be broken down into a shapes and textures very easily and become abstract. Do you prefer using digital or analogue camera? Why? I’m in the process of moving to 100% analogue photography for a few reasons, one is the look of film grain has a lot of character to it, its quite organic. There is no instant gratification involved in analogue photography, which I find very motivational to get out and work more and concentrate on capturing what is in front of me. Film suits me very well as I found myself shooting a handful of images a day with a digital camera, which almost seemed like a waste of the potential of a camera that could easily shoot a thousand images a day, so it seemed obvious to move to a slower medium. The hand made element of a print produced in the darkroom is very appealing to me as well, and it’s a very expressive way of doing things. What do you want to transmit with your photography? I want a calming sense of tranquillity to be found from my photography, and a sense of quiet that reflects the locations I photograph. There are no people in my work landscapes and very rarely any buildings, which leads to a sense of isolation, but its not a bleak isolation, its more of a break from chaos, and a choice rather than something forced. I don’t seek dramatic imagery when I choose my subject, and this is reflected in what I’m trying to say with my landscapes, and the feeling I hope to generate within the viewer. What did you try to achieve with this project? I started this project as a way of experimenting with the contrast between hard, rugged element, hence the use of the aggressive title ‘Tectonic’, and the flowing of glassy waters, with a focus on attempting to avoid any stereotypical landscape. This is why I was opposed to using vivid colour, avoided the golden hour and used telephoto lenses instead of wide-angle lenses and I find it very natural to photograph in portrait orientation, something that is somewhat ironic about my landscape photography. I wanted to create something that had staying power, something that I wouldn’t get bored of looking at. A lot of the images I was taking before I wasn’t even printing, I was leaving them as digital files and looking at maybe once or twice. I had a different mindset when I started to create work for ‘Tectonic’, which was to work towards a body of work rather than a standalone image. Have you worked on other photographic project that are not landscape-based? I have been working on and am continuing to work on an astrophotography based project that involves photographing starlight with expired film that equals the age of the light of the star, for example I photographed Capella, a star that is 42 light years away with film that was produced 42 years ago. The idea that the film and the light were produced simultaneously but it takes decades for the light to reach the destination is fascinating and I hope to move the project on to use expired photographic paper to capture starlight and create one of a kind works, though this has many technical challenges. I have a broad interest in conceptual based photography and alternative processes, and may apply this to my landscape work at some point. Here we have an interview with Kerry Curl. 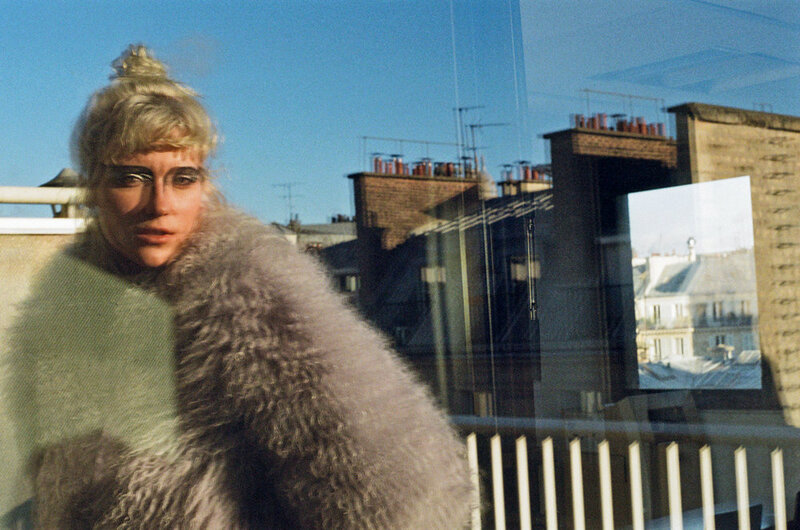 Who inspired you as a fashion photographer? I’ve just always been interested in style and people. As a child I’d draw fashion designs and would have sketchbooks full of entire wardrobe ideas for films I’d seen. When I thought I was destined to spend my life in call centre type jobs I’d be reading art books as an escape. Tracey Emin’s My Bed, I discovered by looking through those Best Of…, A-Z of Artists type books and not only did I connect with it on first sight, in that way you’re sometimes just grabbed by a piece of music right away, I found the artist herself really interesting. Her story made me question my own. Not coming from a creative family/background I found those books a really accessible way to view and learn about the visual arts. I still do. There wasn’t really a ‘fashion’ photographer, who made me think ‘I want to do that!’ but the photographer who gave me what I refer to as That Emin feeling was Daido Moriyama. I saw his work exhibited at the Tate in 2012 and that’s when I knew I needed to start thinking about what photography means to me, what do I want from it, how can I learn more? Although fashion is within my work and most people do refer to me as a fashion photographer, I actually find myself wondering more and more what a fashion photographer is in 2018? Where do I fit in? Photography genres can and do merge. I’ve really started to question fashion within my work. It is part of the imagery but it’s not the works sole purpose. A by-product of the way I create is that I often find myself working with second hand clothing. I’ve been wearing second hand clothes since birth really, starting from necessity and then as I got older through choice. It’s not a new notion to me at all. However now this shopping approach, chimes with the increasing interest in the mainstream for sustainability in the fashion industry. There’s growing desire for sustainable fashion as consumers begin to ask where their clothes come from. Almost paradoxically, the consumer demand for sustainability imposes a commercial imperative on this most egalitarian of impulses. These are interesting times to be contributing to fashion media. Many people are more conscious than they once were of the social implications of what they buy and wear, rather than the sheer quantity of what they could consume or the status it would afford them. In a portfolio review I once talked about fashion in this way and was told that I wasn’t talking about the photography enough. However as a medium, photography for me is so intertwined with other art forms and our world around us, they exist together and that’s a key part of my work. Beyond fashion, I will always cite music and film as things which inspire me greatly. Inspiration is everywhere, that may be a cliché but it’s true. What advice would you give someone starting off as a fashion photographer? My honest advice is to drop the focus of ‘fashion’ and just start photographing style/people/subject matters which interest you. Be inquisitive, be genuinely inquisitive in knowing and learning more, look to different art forms for inspiration. Explore who has influenced your influences. If you are shooting fashion work because you feel you should or it’s a trend you think you must follow, then don’t. That applies across the board with all subject matters really. I wish I could remember who said to me “show the work you want to talk about” - it’s such sound advice. What camera do you use for your portraits? My go to camera is a Nikon D810, but I’ll also still use an array of 35mm SLR cameras sometimes and we’re not talking top of the range. I mostly use ones I’ve picked up second hand, some are what would probably be classed as an ‘entry level’ SLR. I’m always in charity and second hand shops looking for things I can use within my work so I pick up random cameras from time to time, even point and shoots. If I can make work with it then I’m interested. I shoot with ANY film I can afford. How amazing it was when Poundland used to sell 35mm film, sadly I think that’s passed but I still always look out for it. Although he was referring to music, this also really connects to the visual arts for me. The different materials and approaches keep me inquisitive. People have expressed surprise because I like to work with both digital and film but I just don’t feel the need to be exclusively one or the other right now. I learned photography on film - before digital was a thing. I just like cameras really, not from a techno-geek sense, just as a physical object that I can create imagery with. Where did you study? I did my BA (Hons) Photography at Norwich University of the Arts (NUA) , graduating with a 1st in 2017. I was thirty seven when I started my degree, although during my twenties and thirties I was lucky enough to access the adult education system whilst courses such as photography were much more available and accessible, with many classes being conducted in local secondary schools. Indeed my first City and Guilds course was in my old school, which is ironic as the art options available when I was actually at that school as a teenager, were somewhat lacking and photography was certainly not on the curriculum. The Adult Education offerings, certainly in Norwich have changed so much over the last decade, they’ve really declined in course choice and have become much more expensive. This is a real shame. It concerns me that it’s easy to put pressure on ourselves to constantly be ‘seen’ to be making work, checking if it’s being well received etc when really we just tossing it out in to an unknown seemingly ever changing algorithm which is someone else’s business model and so we are not really in control of its future anyway. The positives are that it’s a great way to meet people to work with and it’s brilliant as a way to stay in touch. It can be a very supportive place but there’s a tipping point and it’s important to remind ourselves that we are more than a number. What are your future aims and do they include photography? It feels like it’s taken me so long to finally be working with photography (my creative life has been far from linear!) that I can’t imagine photography not being a part of my future. I’m always questioning my practice, I learned through keeping journals at uni that I’m naturally a reflective person and that the work I make is often a response to what’s around me. I’m planning on returning to education to do an MA in two or three years time. At present, I really want to spend some time making new work and gaining more experience out in the world - all of which I can take with me to my next education phase. I was approached by a uni professor who very kindly visited my degree show work and he suggested I could think about going straight for a PhD which whilst amazing to hear and has certainly made think of the long term possibilities, I feel personally if there is a PhD within my work (within me...) then an MA is the stepping stone that I need to get me there. I can’t image not returning to education, it may sound dramatic but it has been life changing. It’s not a case of if I go back, it’s just a matter of when. My degree show, final uni project and my dissertation continues to inform my personal work and ideas. The show featured installation work of a seventies inspired lounge which I really enjoyed creating. The space invited the viewer to become part of the work. With my photography on the walls and my moving image work looping on period correct televisions, everyday I observed how the audience interacted with the work and I became even more convinced that photography for me was about imagery across disciplines and multi-media innovation, driving me to question the role of a photographer today. I didn’t realise at the time when I was hauling pieces of furniture across London for my degree show installation that this wasn’t actually the final product, but in fact it was further research. I’m so glad I helped look after the degree show everyday because being able to watch the reactions to my work was really a lightbulb moment about it’s possibilities. I’d love to exhibit again, I’m planning to keep working through ideas using photography, moving image and installation and I’m also looking at releasing work within a zine format. Ultimately I just want to keep making work which interests me enough to continue making more work. Here we have an interview with Katie Hayward. How would you describe your project and relationship to the title Between Darkness and Light? 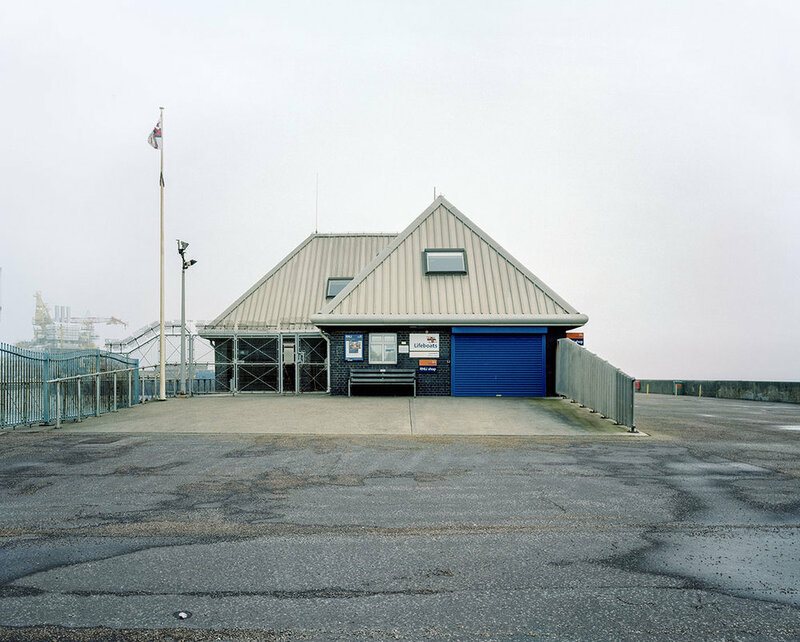 Between Darkness and Light is an observation of the landscape of the coastal town of Lowestoft in Suffolk. The town occupies the most easterly point of the country and so is positioned as one of its extremities. 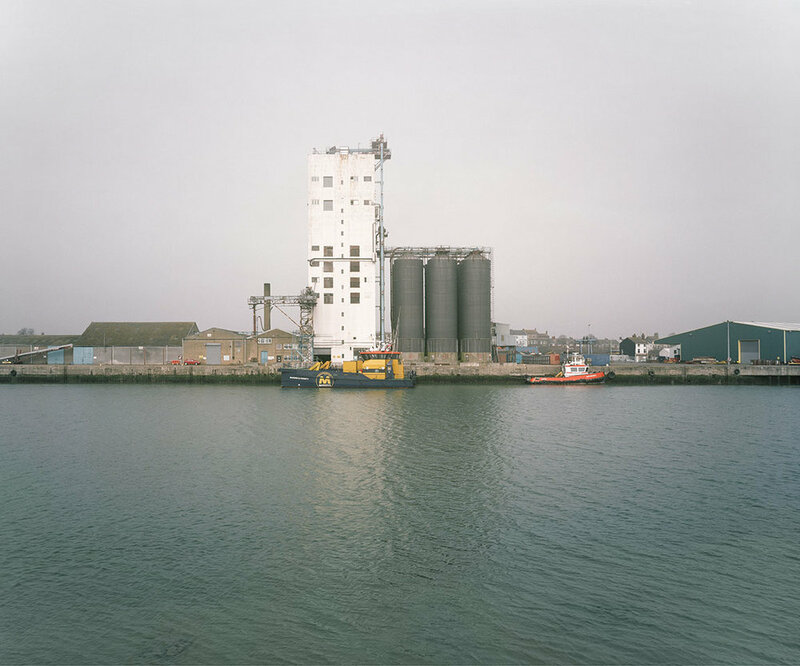 The body of work seeks to provide a subtle acknowledgement of industries won and lost over time, giving a glimpse into Lowestoft’s tumultuous past and tentative future. It is a town, like many in the UK, forced to live through governmental decisions made at a distance, which directly impact upon the communities that live and work there. While our government negotiates for our exit from the European Union, potentially using our fishing waters as the bargaining tool, this is more prominent now than ever before in this town. 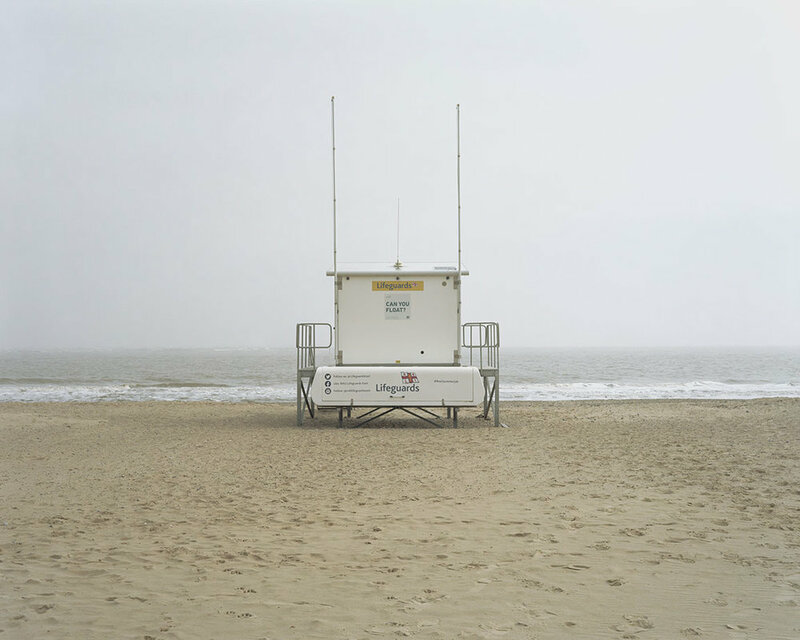 The title of the project is derived from my research into the writings of W. G. Sebald and his book titled The Rings of Saturn whereby he narrates his journey along the East Coast. When describing his experience of Lowestoft, he recalls looking out towards the sea through a bay window of the dining room of his rather lacklustre hotel, stating that “Outside was the beach, somewhere between the darkness and the light” (Sebald, P.43). These words resonated with me as they seemed to fit with the general essence of the place that I had experienced and also politically, socially, economically and emotionally in a metaphorical sense. What was the inspiration for the project? I had developed a genuine interest in the concept of place photographically and having recently moved to the East Coast I was curious to see how documenting a place with which I had no knowledge of, or emotional connection to, would impact upon the images I produced at the other end. Would my photographic exploration create an emotional connection or attachment of sorts or would my role in documenting it keep me distanced from it? This was the catalyst for starting the project. How has the course at the University of Suffolk shaped your practice? When I started my course at the University of Suffolk, we were taken right back to basics with 35mm black and white film where we learned to develop and print our own work. This really helped me connect with where photography had grown from and allowed me to join the dots with where photography is now. I had never stepped foot into a darkroom and so the learning curve was a steep one for me, but very rewarding. I’m quite an impatient person and the medium of film photography truly challenged me and took me out of my comfort zone. It made me a more considerate photographer as the process was considerably slower. This helped me to truly appreciate the photographers of the past who never had digital as an option and what an undertaking it must have been for the work that they produced at that time. The course structure was also a huge thing for me, it really guided me through how to produce a project from proposal through to exhibition and everything in-between, with group critique sessions and presentations of my work I gained the confidence in critiquing my own work as well as the work of others in a constructive way. Who is your main photographic inspiration? It is impossible for me to put this down to just one person, but I will try to be as concise. Gerhard Stromberg and his Coastline Catalogue work. 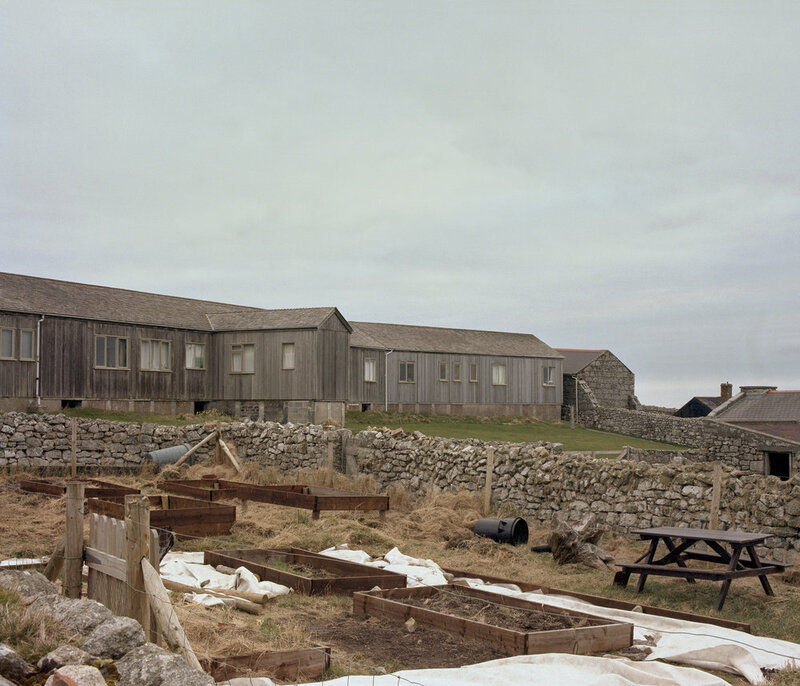 Chris Killip and his Inflagrante and Seacoal series. Michael Collins and his Landscape and Industry publication and Hoo Peninsula work. 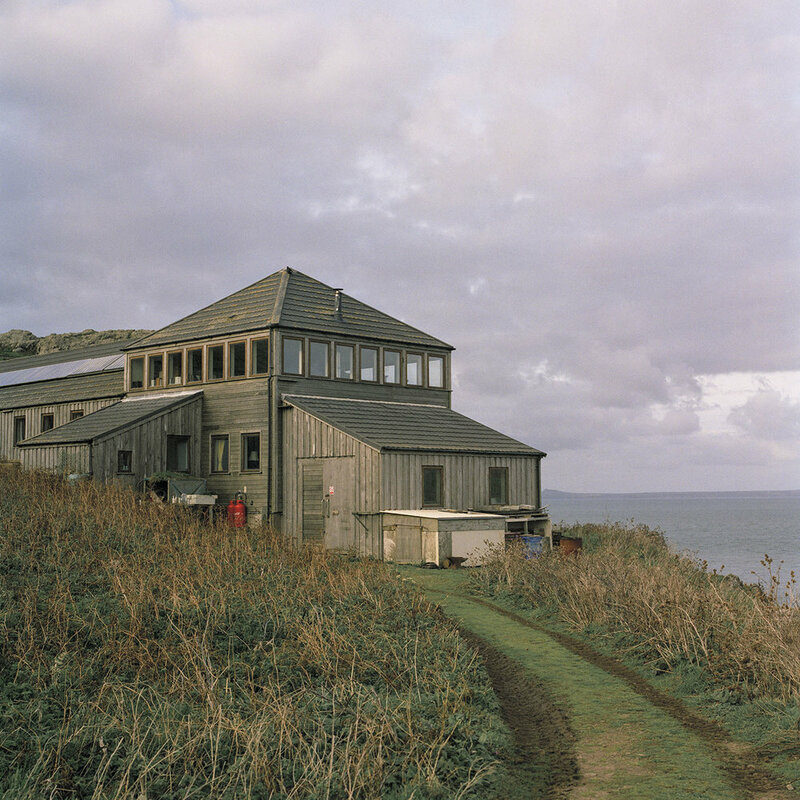 There is also a small independent publisher called Another Place Press run by photographer Iain Sarjeant who publish books focusing on contemporary landscape photography. Everything they publish is in line with my interests photographically. Iain’s photographic work is also quite something. What do you want to achieve and say with your project? I wanted to present images which provoked thought and questions. I wanted to convey a sense of place, an acknowledgement of its community, of its past via the apparatus of its landscapes. I like working in a series-based format with narrative imbedded in the work and I hope the work achieved that in some sense. What camera and lens did you use? Initial location scouting and test shooting was done on my trusty Canon 7d mark ii. The formal images were shot on a Shen Hao 5x4 XPO 45-A camera with a 150mm lens. Why did you choose that equipment? Shooting digital to initially test locations, times of day and compositions enabled me to quite quickly find what worked and what didn’t, I had a lot of ground to cover. I knew I wanted to have the final images on large format as this felt right for the subject matter and detail within the landscapes. I also wanted the images to be presented in large scale and large format is best placed for this to retain as much quality as possible when taking prints large. I also really enjoy the pace of large format and the fact the lenses are fixed focal lengths, it forces me to be more patient and considerate about what I am doing and to really focus on composition. What are your career plans? The aim and intention is to continue to grow and progress as a photographic artist, and to push forward with developing bodies of work for exhibition and publication. I am currently in the process of researching several projects of which I am incredibly excited about. I believe I have some very captivating narratives to put out there and hopefully I can do this in a visually compelling way. I want people who engage with my work to feel compelled to enter into wider discussion and debate about its subject. Legacy: A Reciprocal Tribute is an artwork conceived by Patricia Swannell in response to The Woodland Trusts flagship Queen Elizabeth Diamond Jubilee. 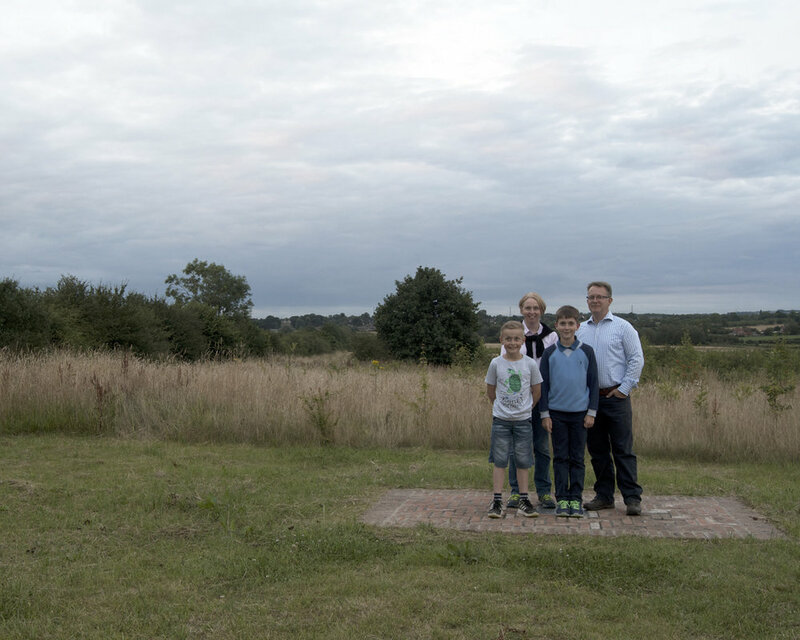 Patricia’s artwork takes the form of a plinth, inviting local families to make an annual family photograph against the backdrop of the developing trees. Charting both the changes in their family and the changes in the landscape they collectively call home. Five years ago Staffordshire University graduate Chris Mear was commissioned to photograph this selected family in the same spot in Leicestershire each year. 2018 marks Chris's 5th year as the commissioned photographer. I could agrue that 2014 was my most succesful year to date. I became an artist in residence, I published my first book and I landed a modest succession of commissions which just about saw me through the remainder of the year. It was, finally, the year that I could actually defend the claim that I was a “photographer” - a claim which I have to admit I’ve, more often than not, not had the confidence to defend. But when it all starts winding down and I’m sat in a tree looking back at my brief holiday on earth, I will most probably remember the year 2014 for one thing above all others - a commission that goes by the name of Legacy: A Reciprocal Tribute. A commission that, all being well, will see me well into what I’m told they used to call “retirement age”. The London based, Canadian born artist, Patricia Swannell was asked to come up with a location based artwork for the Woodland Trust’s flagship commemoration of the Queen’s diamond jubilee in 2012 - that’s 60 years on the old thrown. Interestingly, what Patricia devised was a “photo point” in a carefully selected location within the wood - selected to compose people, trees and landscape. The idea was, to me at least, both beautiful, poigniant and simple. To chart the growth of yourself alongside the development of your family the woodland and the wider landscape. Patricia also visited the woodland site in the early days of it’s post-industrial transition and collected 60 native plants and wildflowers from which she made 60 etchings to make up a permanent exhibition - which moves to a new home this autumn. Each year one of these etchings will be replaced by my portrait of the Martinson family, a local family who live just a pleasent evenings stroll away from the wood. This Sunday evening will be the fifth exposure, the fifth year. And so far each time I have made that walk to the photo point I have been unable to prevent my mind from thinking to the future; what will this all be like in 60 years time? This year however, I intend to try extra hard to not venture though my mind in some ludicrous attempt to construct an imaginary future. My rabbit of almost seven years died this week and I hope to pay respect to my friend, my best friend, and teacher by beginning to practice his most important teaching; Life Is Now. So I will experience the woodland for what it is, a wild place where the two Martinson boys are growing faster than the trees. A place of peace and natural unity which leaves you feeling a sense of hope and optimism in a world dominated by a species that all to often seems intent on losing its remarkable mind. How lucky I am, to have been in such a right place, at such a right time to land a photography gig like this. 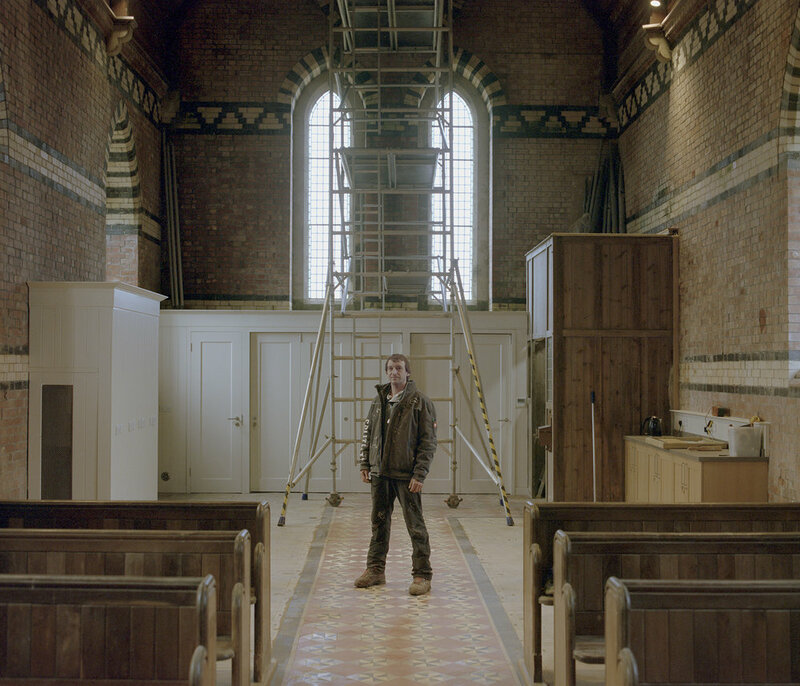 The University of The West of England, Bristol graduate Alex Ingram was featured on Photograd previously with his series David's House. 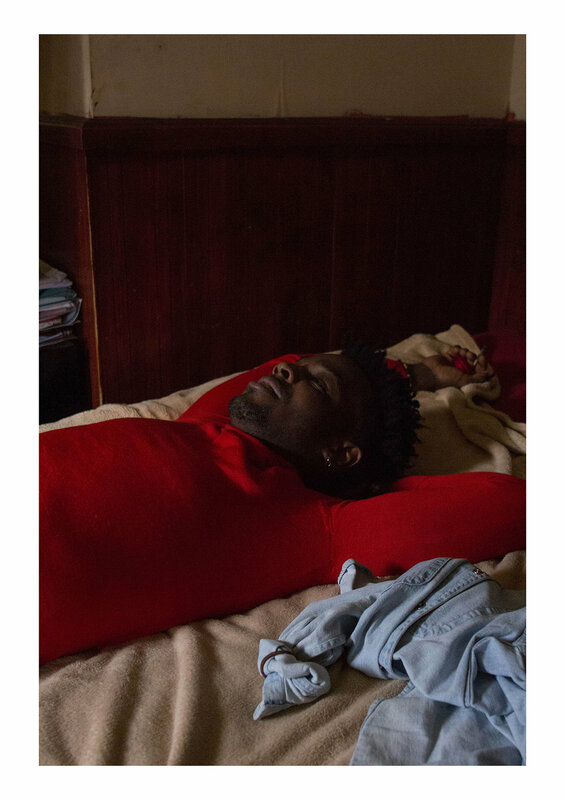 The series was published into a photobook in 2016 and Alex is now working in a new series of work, The Gatekeepers, which featured in the first edition of our zine, PGZ129, released earlier this year. We introduce you here to images from The Gatekeepers which is currently a work in progress as Alex continues to return to the islands to make more images. Scattered across the small islands surrounding the UK live lone wardens, spending their lives in quiet solidarity, away from the crowded, overpopulated landscapes of our urban world. Their role: to maintain and manage the preservation of their islands natural beauty and wildlife for future generations, whilst conducting research into these incredibly delicate ecosystems. Over the next two years, these are the questions I want to explore. 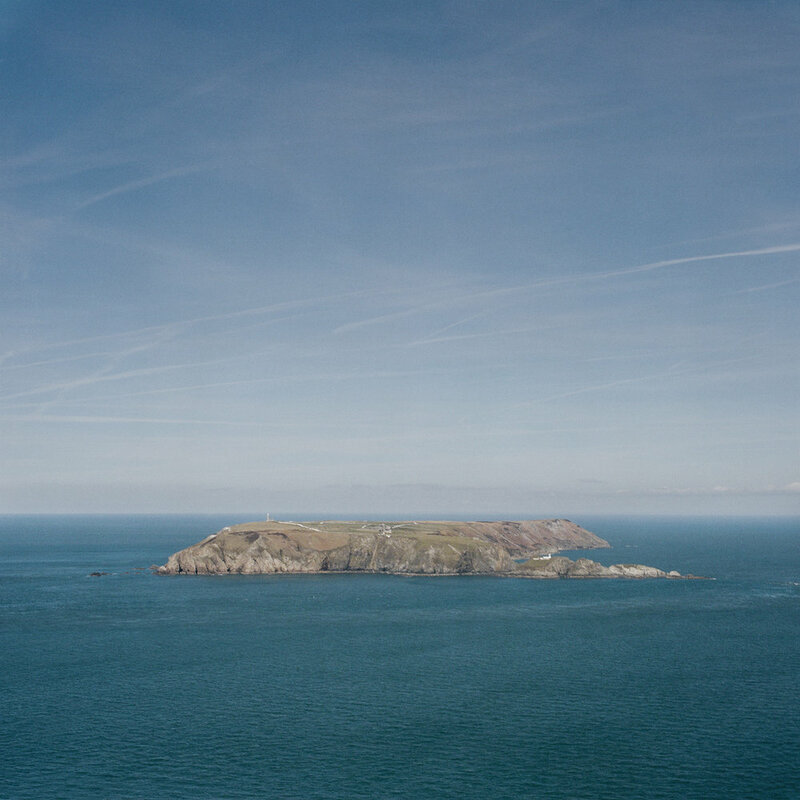 I will be visiting these remote islands and spending time with the wardens that have chosen to spend their lives there, in the hopes of better understanding what life is like living in some of the most beautiful, yet inhospitable landscapes in the UK. In a world that is changing at a rapid pace, I want to question how this simplistic way of life fits within our modern world. London College of Communication graduate Anne Erhard was featured on Photograd last year and we recently caught up with her again. In a quick interview, Anne has told us about her residency which involved a six week stay at DEPO2015 in Pilsen, Czech Republic, and introduces us to her new series of work, An elderberry place. Who are you and where did you study? 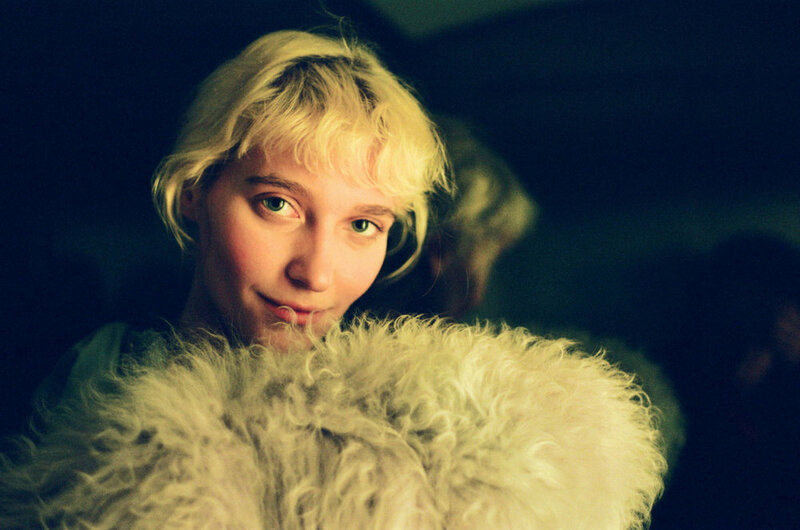 I’m Anne Erhard, a photographer and writer currently based in Berlin. I studied on the BA Photography at London College of Communication and graduated in 2016. More than 14 million years ago, a meteorite struck the earth in what is now Southern Germany, tearing open a crater whose remains are still visible today. In the moment the meteorite hit the ground, a unique mineral, Moldavite, was created out of the melting rock, thrown upwards and scattered in the South of the Czech Republic, across an area several hundred kilometres to the East of the impact site. My father’s father, who died when my father was a boy, came from Schönfelden (Osí) in the Czech border region of Bohemia, which the German population was forced to leave in 1946. 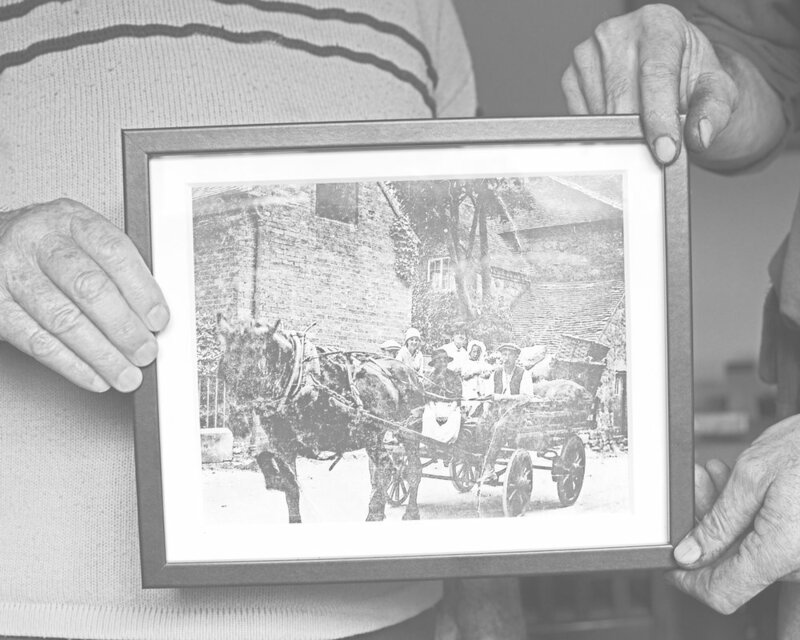 My grandfather was subsequently resettled in a German village that happened to be located within the aforementioned meteorite’s crater, a coincidence that unknowingly bound him to the home he had left behind. We understand that you completed An elderberry place as part of an artist residency. Can you explain more? How did you secure your residency? Yes, doing a residency was one of my biggest goals for the year after my graduation. I wanted to do a program that would help me develop a project that was already in progress rather than beginning some completely new work. I applied for a few residencies in the Czech Republic before being accepted for a six-week stay at DEPO2015 in Pilsen. Writing several applications and having the project rejected along the way really helped me to refine my ideas as it forced me to repeatedly think about how to effectively communicate my plans for the project. My time in Pilsen was brilliant, I got to do, see and be involved so many different things. Everyone there was so welcoming and really went above and beyond to help me complete the project. Have you exhibited this work now it's complete? If so, where was it shown? At the end of my residency at DEPO2015 the venue hosted the Czech-German festival Treffpunkt, and I had a solo exhibition as part of this festival. Treffpunkt is a recent initiative supported by various European organisations and brings together cultural activities from both sides of the border. I made many of the prints for the display myself in the darkroom at DEPO2015, and the final exhibition also included objects that I had gathered from my family archive. As An elderberry place is your first completed body of work since graduating, have you got any tips or advice you can share with new graduates? The biggest learning curve was making the project outside of the university network and facilities. My main point of advice would be to learn how to use whatever your new circumstances might be to your advantage. For me, this meant a shift away from making work by shooting every couple of months and bringing the project together piece by piece. Instead, I spent a year planning the photographs I wanted to make in advance and then shooting almost all of them in the space of a few weeks. Over the course of that year, I became much more experimental and let go of a lot of expectations I had had for myself, and I think in the end this worked out well for the final result. The most important thing for me was to embrace the fact that things will move at a different pace after you graduate and accept that there will be failures and rejections along the way. Throughout that time it helps so much to keep in touch with your course friends, as you are all in the same boat and most likely facing similar struggles. What does the future hold? I am just working on getting An elderberry place out into the world and figuring out plans of where to potentially exhibit it again this year. Beyond that I’m looking to publish a book of From the trees we run between this year and am involved in and applying to a few other exhibitions. I also have a new project idea that I am starting to plan and research, which follows on from the very last photograph I took for An elderberry place at a Czech photography museum. Staffordshire University graduate Chris Mear has continuously updated us with his work since we featured him on the platform some time ago. You can read his initial Feature here. We've supported Chris along the way with a Spotlight and Instagram Takeover, and would now like to introduce you to his newly completed series of work For The Love Of Lettuce. 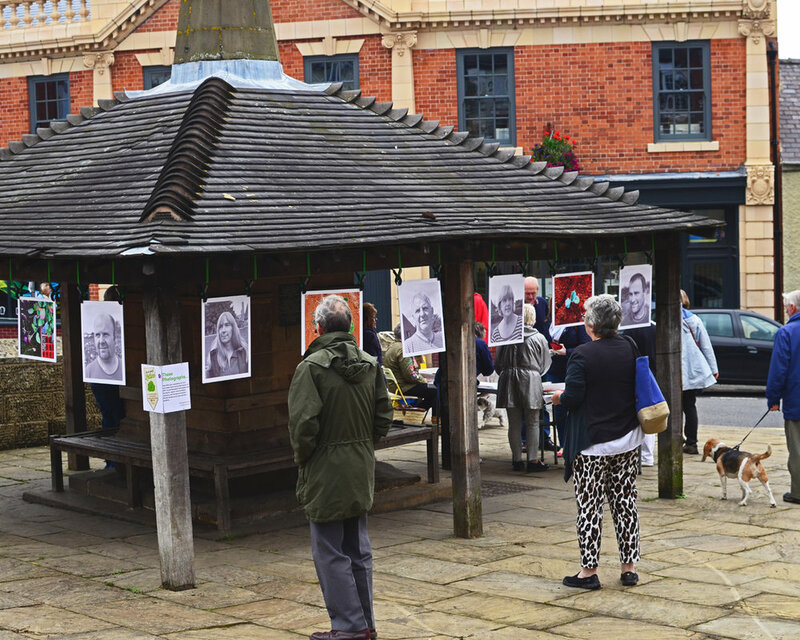 At the start of the twentieth century, there were over 150 Market Gardeners in the Parish of Melbourne, South Derbyshire. Over the course of the past century the industry experienced a great rise followed by a steep decline. 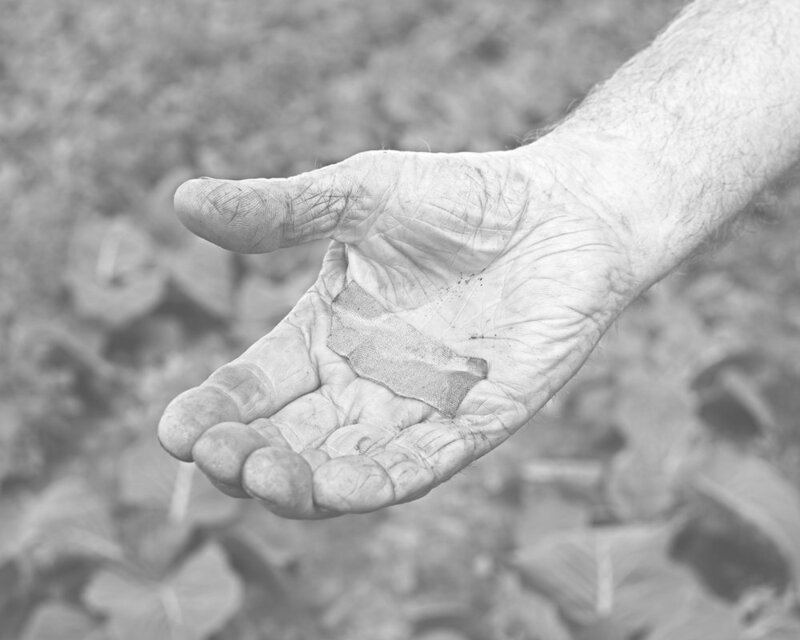 Now, in the twentieth century, Melbourne has just three Market Gardening families who are continuing to survive and thrive. Over the summer of 2017 I shadowed the work of these remaining family businesses. 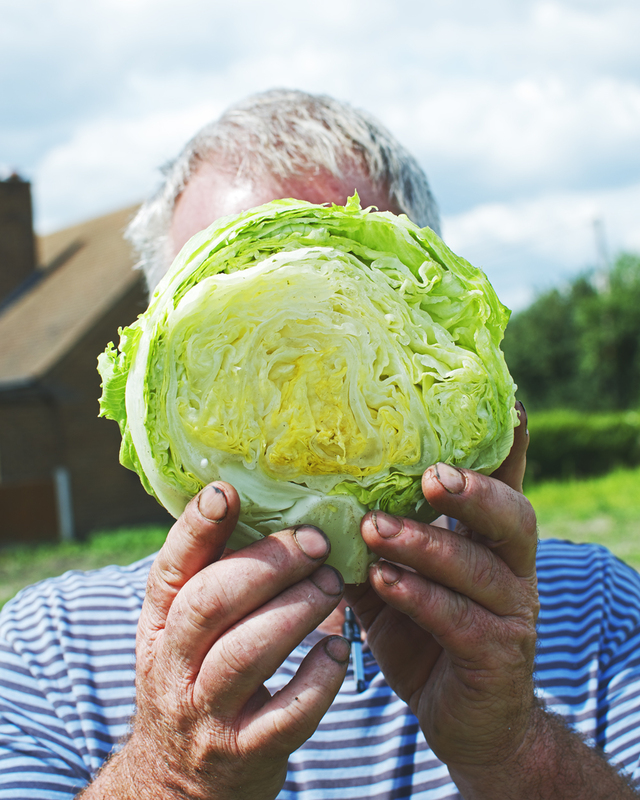 For The Love Of Lettuce was exhibited throughout the village during the annual Melbourne Arts Festival in September, 2017. Here are some installation shots. Photograd were recently made official partners of Pop My Mind and we're working with the team again to bring you an exciting new theme. You can find it here. To give you more of an insight into Pop My Mind we've interviewed some of the more photographic based users on the platform. We reached out to Francois this time around who is influenced by the everyday. Tell us who you are. Where do you live and make work? My name is Francois and I am Italian. Right now I'm living in Germany/Hamburg. Have you studied a creative subject? What are your thoughts on doing so? I started with graphic design but was not really happy with it. I would like study art history as it is a field I am interested in. Do I need to study something in the creative field? I'm not sure about it, it depends. It could help you to meet others and discuss ideas maybe. What sort of work do you make? I just do strictly photography. Whatever catches my interest from street photography, sport or landscape. What do you use the Pop My Mind platform for? Pop My Mind is a good platform to show your work and get inspired by other artists. What's your biggest inspiration? My biggest inspiration is everyday life, watching people. I also tend to read a lot fiction, non fiction, magazines, philosophical books, visit exhibitions and so on. I can get also inspired just by the weather or a situation I see. What are your thoughts on sharing your work with a wider audience? Have you got any advice? It is good to share your work because frankly spoken, this is why we do it. Get a reaction (bad or good) and discuss your work and make new connections and generate ideas. It is not so much about followers or likes. I prefer comments where they tell me what they see or feel, or what impressions they have. My advice would be to not care too much about the statistics on Instagram and Co (likes, …) as every personal contact is more important. Give one tip you think every creative should follow. Gosh one tip. I am still a beginner but my advice is do it for fun and follow your passion. Learn the rules but break them if you have the funny feeling you want to experiment. You will learn from every mistake you make. Oh yes, do not wait until you think you're ready. What are your plans for the future? This summer I will be travelling and taking photos and then applying for university. I have some projects in mind that I would love to do this summer and go from there. As I love photography I am doing everything right now to develop and get more opportunities to undertake new work and projects. Pop My Mind: An interview with Sat Biswas. Photograd were recently made official partners of Pop My Mind and we're working with the team again to bring you an exciting new theme. You can find it here, but we'll be officially launching it soon. To give you more of an insight into Pop My Mind we've interviewed some of the more photographic based users on the platform. First up is Sat Biswas who describes himself as a visual storyteller with inspiration arising from film and poetry. Tell us who you are. Where do you live and make work? My name is Sat Biswas. I am a 40 year old visual storyteller based out of Mumbai, one of the largest metropolises of India. Though i make my living out of IT based Consultancy, most of my time is spent in documenting life and living around me using photography as a medium. Have you studied a creative subject? What are your thoughts on doing so? I have studied Comparative Literature. Though I have not studied specifically Art as a subject but my career began with an Advertising agency as a copywriter. Now these two elements have shaped my understanding on Art & Aesthetics. It has helped me effortlessly swim through all the creative genres and lends me an ability to compare and compose. I am greatly influenced by Poetry and art of Film Making. What do you use the Pop My Mind platform for? I use Pop My Mind to think, compare and create from a diversified pool of creative and comparative Art. I believe that this is the only platform which gives an opportunity to all the creative genres to come together and create a unique Expression of Art and Aesthetics. And that is quite exciting. What's your biggest inspiration? I take a lot of inspiration from Poetry and Art of Film making. But I think my biggest inspiration is my differently able daughter, Ira. Her disability to communicate in her initial days of childhood made me resort back to photography and try to use it as a medium of expression and communication between us. And through her a whole new world has opened in front of me. What are your thoughts on sharing your work with a wider audience? Have you got any advice? I have never thought about it actually. Photography for me is a very private, individual journey and a sort of much needed therapy to spring back to life from the mundane. I have been told to share my work for numerous competitions but somehow I did not feel the urge for that. Maybe I am fearful to open up my expressions for a review by the wider audience. Give one tip you think every creative should follow. Frankly I am not sure. For me either you are creative or you are not. And if you are creative then you would always have your own individuality and your way and manners to express. That workflow of ingenuity is creative for me. But if I have to give one suggestion then I must say that one should never cease to become ‘curious’. What are your plans for the future? I have no larger plans. I just have a few environmental and social projects in mind and I'm trying to arrange funds such that I can go for it. These will be long projects in the remotest environment which will require a deeper study to understand and subsequent document.